prosecution of Lelbert Williams arose from a series of furtive behavior by Williams. In May 2014, the Spokane Police Department received calls complaining of a man stalking through backyards in a west Spokane neighborhood. On May 6, 2014, one caller, Brad Dawson, observed the man carrying two sports duffel bags and possibly a screwdriver. Also on May 6, 2014, someone burglarized the home of David and Joan Nelson. Joan Nelson's brother, John Johnston, drove through the neighborhood in an attempt to apprehend the burglar. After inspecting five homes, Johnston espied a kneeling gentleman, with two duffels bags astride, employing a screwdriver to pry open a lock on a storage facility. The man fled when Johnston yelled. Johnston called 911 and tracked the fleer as the fleer scattered from yard to yard and hid in changing locations. Johnston kept contact on his cellphone with Spokane police. Spokane police officers arrived and apprehended the burglar, Lelbert Williams. Law enforcement officers found a duffle bag, a Bluetooth speaker, a laptop, running shoes, a jacket, and two rings belonging to Adam Macomber in the possession of Williams. Days earlier Macomber had discovered the property missing from his apartment. State of Washington charged Lelbert Williams with five crimes: (1) residential burglary, (2) second degree burglary, (3) attempted second degree burglary, (4) attempted theft of a motor vehicle, and (5) possession of stolen property in the second degree. The State added the final charge near the date of trial. State v. Williams, supra. This site provides an overview of burglary law in the state of Washington. Q. Show the jury again. Were you able to assess a value of an amount that all that property was worth at the time it was taken? A. I could give a rough estimate. Q. And I know that you stated there was a laptop computer. Q. And number of other items including your rings, the Bluetooth speaker, and the miscellaneous items you work out in, including your tennis shoes there. Q. What value would you total your loss at being? A. I would say roughly $800. [t]he State presented no other testimony of the value of stolen goods. The trial court denied a request by Lelbert Williams for a lesser included offense instruction with regard to second degree possession of stolen property. The jury found Williams guilty of first degree criminal trespass, attempted second degree burglary, vehicle prowling, and second degree possession of stolen property. The jury acquitted Williams of residential burglary. Our appeal concerns the possession of stolen property conviction. At sentencing, Lelbert Williams requested a DOSA. He claimed he committed his last violent offense over ten years earlier. The trial court denied the DOSA on the basis that the court lacked any information of Lelbert Williams abusing controlled substances. The trial court sentenced Williams to the standard range for his crimes and ran the sentences for all crimes concurrently. Our appeal also addresses the denial of a DOSA sentence. Lelbert Williams challenges his conviction for second degree possession of stolen property. We agree that the State presented insufficient evidence to convict Williams of second degree possession and thus reverse this conviction. Evidence suffices for a conviction if a rational trier of fact could find each element of the crime beyond a reasonable doubt. State v. Green, 94 Wash.2d 216, 221-22, 616 P.2d 628 (1980). Both direct and indirect evidence may support the jury's verdict. State v. Brooks, 45 Wash.App. 824, 826, 727 P.2d 988 (1986). This court draws all reasonable inferences in favor of the State. State v. Partin, 88 Wash.2d 899, 906-07, 567 P.2d 1136 (1977). Only the trier of fact weighs the evidence and judges the credibility of witnesses. State v. Carver, 113 Wash.2d 591, 604, 781 P.2d 1308, 789 P.2d 306 (1989). (Emphasis added.) Revised Code of Washington §] 9A.56.010(21) defines `value] for purposes of the crime, as: (a) `Value’ means the market value of the property or services at the time and in the approximate area of the criminal act. key words of witness Adam Macomber were “I could give a rough estimate.” RP at 278. “I would say roughly $800.” RP at 278. We find this testimony fails to show beyond a reasonable doubt the value of stolen property to exceed $750. `Value’ for the purposes of theft means the market value of the property at the time and in the approximate area of the theft. `Market value’ is the price which a well-informed buyer would pay to a well-informed seller, when neither is obliged to enter into the transaction. State v. Clark, 13 Wash.App. 782, 787, 537 P.2d 820 (1975). In a prosecution, value need not be proved by direct evidence. State v. Hermann, 138 Wash.App. 596, 602, 158 P.3d 96 (2007). Rather, the jury may draw reasonable inferences from the evidence, including changes in the condition of the property that affect its value. State v. Melrose, 2 Wash.App. 824, 831, 470 P.2d 552 (1970). In determining the value of an item, evidence of price paid is entitled to great weight. State v. Hermann, 138 Wash.App. at 602, 158 P.3d 96 (2007). 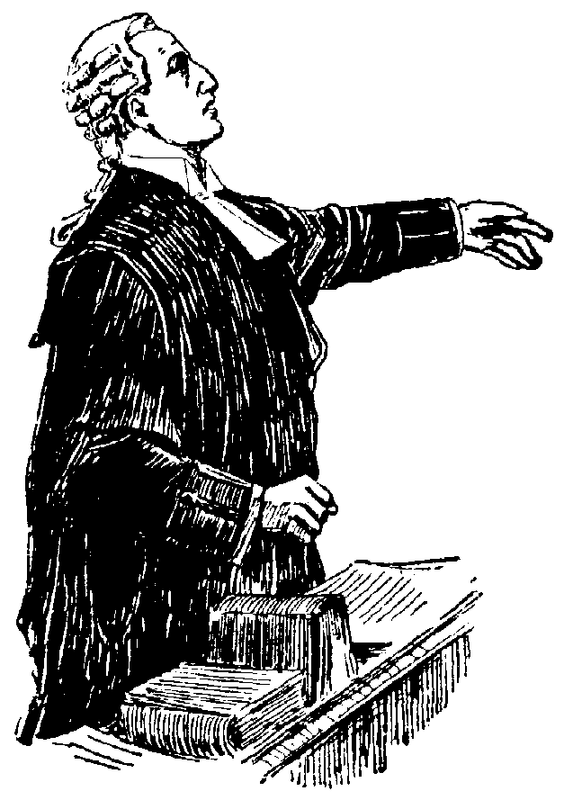 The State may suggest that, since Lelbert Williams did not object to Adam Macomber's valuation testimony or since Williams presented no competing testimony, Macomber's testimony suffices to convict. We disagree. The trial court reasonably would have overruled any objection, since Adam Macomber could testify to a value of the stolen property as its owner. The owner of a chattel may testify to its market value without being qualified as an expert on valuation. McCurdy v. Union Pacific Railroad Co., 68 Wash.2d 457, 468, 413 P.2d 617 (1966); State v. Hammond, 6 Wash.App. 459, 461, 493 P.2d 1249 (1972). This principle does not end our inquiry, however. The State still bears the burden of establishing each of the elements beyond a reasonable doubt. State v. W.R., 181 Wash.2d 757, 762, 336 P.3d 1134 (2014). parties rely on two Washington decisions, both of which assist Lelbert Williams: State v. Hammond, 6 Wash.App. 459, 493 P.2d 1249, and State v. Ehrhardt, 167 Wash.App. 934, 276 P.3d 332 (2012). State v. Hammond addressed the admissibility of an owner's valuation testimony concerning the worth of a diamond ring and whether the jury could consider such testimony when determining if the stolen items had a combined value exceeding $75. The State charged the defendant with grand larceny for having stolen five rings in excess of $75. All of the rings were introduced into evidence as exhibits and were before the jury for their consideration. Victim McDaniels was the only witness to testify concerning the value of the five rings. She testified that three rings were `cheap junk jewelry,’ worth only a few dollars. State v. Hammond, 6 Wash.App. at 460, 493 P.2d 1249. She added that she paid approximately $25 to $29 in 1968 for a sapphire ring, the fourth ring. Q [By the prosecutor] Now, again, I understand that you are not trying to sell the rings, but do you have an idea as to the approximate fair market value of them? THE COURT: She may answer. A [By the owner-witness] For $600, I know. State v. Hammond, 6 Wash.App. at 460, 493 P.2d 1249 (emphasis added) (alteration in original). The trial court ruled the testimony admissible on the ground that the jury could attach such weight to the testimony as it deems proper. suggests that, since the law qualifies the owner of the personal property to testify to the value of the property, the owner's testimony suffices to convict no 6 Wash.App. at 461, 493 P.2d 1249 (1972), may suggest such to be the rule, no Washington decision has directly established such a proposition. No case stands for the proposition that, because the State offered admissible evidence relevant to the charge, the State necessarily proved beyond a reasonable doubt the elements of the charge. If the dissent's proposition holds true, this court wrongly decided State v. Ehrhardt, 167 Wash.App. 934, 276 P.3d 332 (2012). If the dissent's reasoning proves correct, sufficiency of evidence questions would transfigure into mere evidentiary questions. The dissent's reasoning ignores the need to convict beyond a reasonable doubt. [i]n reaching our conclusion in this appeal, we emphasize that the State asked the victim, Adam Macomber, to testify to a `value’ of the property, not to a “market value” or “fair market value” of the property. Macomber did not testify to the basis of his opinion of value. For all we know, he used the purchase price of the goods, the replacement cost of the goods, or some intrinsic value to himself. Adam Macomber testified to a `rough estimate’ value of the stolen goods to be $800, a figure close to the minimum amount required to convict of $750. Macomber listed the property taken from him, but did not describe the condition of the property when stolen. He did not disclose the purchase date or the purchase price of each item. We hold the remedy for the insufficiency of evidence to be a remand for dismissal of charge for possession of stolen property in the second degree. The trial court refused to instruct the jury on the lesser included offense of third degree possession. This court lacks authority to direct the entry of judgment of the lesser included offense if the jury was not instructed on that offense. In re Personal Restraint of Heidari, 174 Wash.2d 288, 294, 274 P.3d 366 (2012). Lelbert Williams' conviction for second degree possession of stolen property. We therefore remand for resentencing based on the vacation of this one conviction. We deny the State an award of costs against Lelbert Williams since he prevailed on a major claim on appeal.